RALEIGH, N.C. – National Agents Alliance President and CEO Andy Albright spoke to an audience of more than 300 people filled with students, faculty and aspiring entrepreneurs at North Carolina State University’s Entrepreneurship Initiative Lecture Series and Lulu eGames on April 29. A total of $40,000 in prize money was awarded to undergraduate and graduate student at N.C. State in a variety of categories. Thushan Amarasiriwardena, co-founder of Launchpad Toys, delivered the keynote address after Albright’s remarks. Bob Creeden, director of Blackstone Entrepreneurs Network; Bob Young, founder and CEO of Lulu; and Jennifer Capps, director of operations and lecturer with the Entrepreneurship Initiative also spoke during the event. Albright said it was important for successful people to support the effort of the EI program at his alma mater. He said when students can meet and share ideas with those who have already been successful it multiplies the efforts and dreams of the next generation of entrepreneurs. 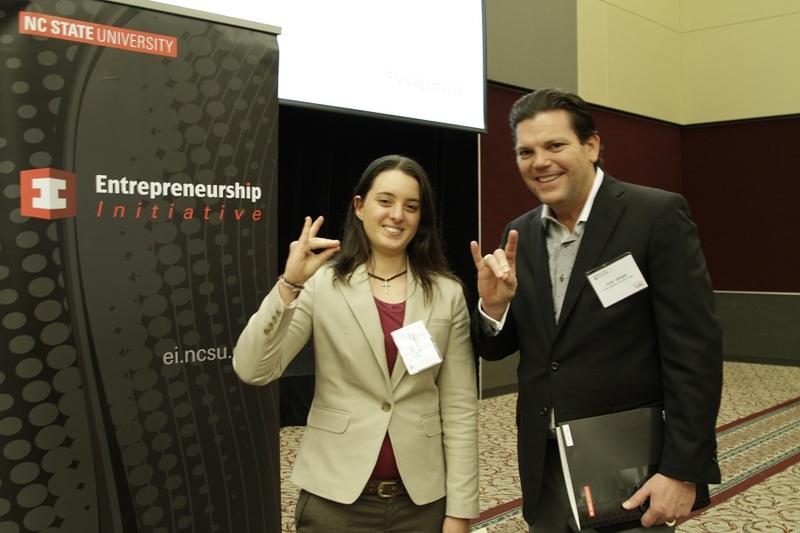 The ELS is designed to showcase outstanding innovation and entrepreneurship among N.C. State alumni and partners. The goal of the EI program is to build a culture of innovation and entrepreneurship for N.C. State students through programs and opportunities that help prepare them to be North Carolina’s job creators and leaders of tomorrow. Tom Miller, Senior Vice Provost for Academic Outreach and Entrepreneurship, said the event was a celebration of the ideas, innovations and execution of the students’ business plans. Miller added that having support from Andy and Jane Albright was important part of the EI program because it allows the school to bring in dynamic speakers to inspire and encourage students with dreams of becoming an entrepreneur. To learn more about the winners, visit the EI web site HERE.